Passerby stopped to hear how people are being decanted, evicted, abandoned and forced out of their homes at catastrophic rates – currently someone in England is threatened with eviction every 90 seconds. 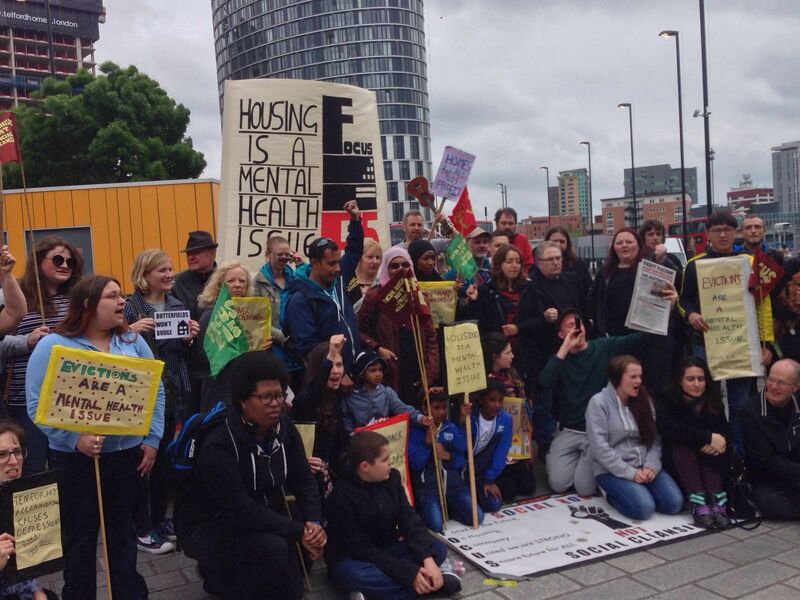 Newham has the highest number of households in temporary accommodation of any London borough and the devastating consequences that housing conditions are having on people’s mental health should be obvious. To constantly worry that the roof over your head will not be there tomorrow is traumatic. The stress and isolation that comes from housing insecurity is causing a mental health crisis. Dangerous and overcrowded accommodation; temporary housing, isolation from family and friends, evictions, homelessness, social cleansing, children out of school, job losses: these are the issues so many people are facing and they are making people sick. As people are evicted from their homes and socially cleansed out of London, they are not only being forced into places that are making them ill, but they are cut off from the very support networks that keep them healthy. Don’t like the open microphone thing much, but more power to you. Shelter is a basic human need, so are relationships with friends and loved ones. Typical big system state behaviour.